(NaturalNews) A number of countries are beginning to require Japan to place region-of-origin labeling on its food products to ensure that anything coming from the radiation-infested regions surrounding the damaged Fukushima nuclear power plant are adequately screened for contamination. The decisions by countries such as Taiwan and South Korea have angered Japanese officials, who are turning to the globalist World Trade Organization to force the countries to abolish their protective regulations. In recent days, Japan threatened Taiwan with filing a complaint with the WTO while actually filing one against South Korea, the latter of which had placed new restrictions on Japanese food imports following the disaster. The Fukushima plant was heavily damaged by a major tsunami that was caused by a massive earthquake off the northern coast of the island in March 2011. Officials in Tokyo are complaining that the South Korean regulations violate rules of international trade. Under WTO rules, South Korea has 60 days to resolve the matter in bilateral talks. After that, Japan can ask the organization to assemble a panel of trade experts to assess the situation. The measures imposed by South Korea after the Fukushima accident of 2011 ban a number of products and require additional certification of Japanese food due to concerns that it could be contaminated with radiation. Trying to "secure the safety of the people" against WTO rules? Officials with the Ministry of Trade in South Korea said that the restrictions are reasonable, given that the damaged plant is still leaking radiation-tainted water. Japan made its announcement ahead of a planned meeting with South Korean Finance Minister Choi Kyung-hwan in Tokyo. He held formal talks with his Japanese counterpart May 23, the first such meeting between both men in two years. "The government will explain in future consultations with Japan that import restrictions have been placed to secure the safety of people," South Korea's trade, agriculture, foreign affairs, and other related ministries said in a joint statement on May 21, RT.com reported. Japanese officials said they saw no reason for any trade restrictions on food imports because of the Fukushima accident. Tokyo maintains that radiation levels in Japanese food have declined appreciably since the accident and that ongoing testing of food produced in the region surrounding Fukushima has found that less than 1 percent was contaminated with radiation above Japan's food safety limits by 2014. Average annual imports by South Korea of Japanese fish and seafood amounted to $96 million from 2012-2014; this is less than half the average of $213 million recorded in the 2006-2010 timeframe. 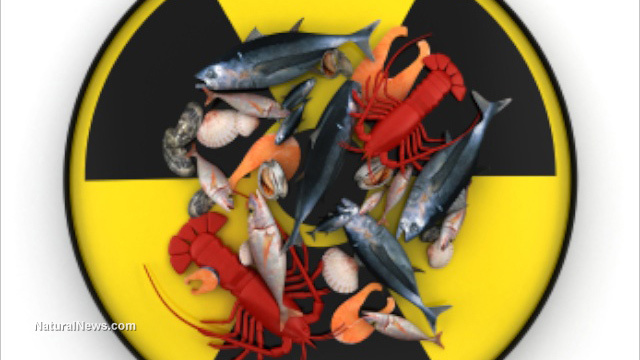 In September 2013, the South Korean government extended its ban on the importation of Japanese fishery products, covering imports from eight Japanese prefectures including Fukushima. In recent days, Taiwan began enforcing stricter rules regarding inspections of important Japanese food products for potential radiation contamination, prompting Japan to threaten WTO action against Taipei. Reuters reported that the new rules would only permit foods with place of origin certificates issued by the Japanese government into Taiwan. In addition, some items from designated places in Japan now require radiation testing before they are permitted to enter Taiwanese markets. Taiwan said this "is necessary to protect the safety of food consumption" for its people. Japan is, in essence, turning to a globalist trade organization to force Taiwan, South Korea and other nations to consume radiation-tainted foods. In response, perhaps other nations should simply stop importing all Japanese fishery products.